Hachiro Iba is in a unique situation in Hakuoki: Edo Blossoms. As a new bachelor, he has an entirely fresh storyline. There is also the fact that he is a childhood friend of Chizuru Yukimura, since this provides new background on her life. But there is one more important way in which Hachiro is a game changer. Through him, we have an entirely new look at the Fury situation. 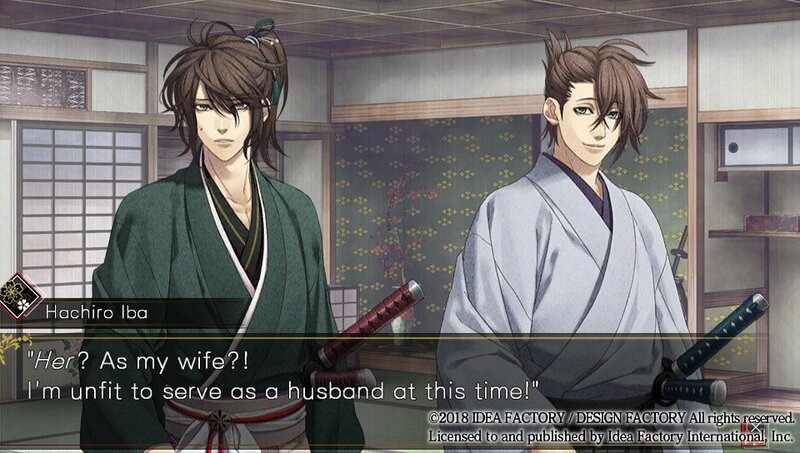 Note: Hakuoki: Edo Blossoms spoilers will follow. Let’s start with a bit of a refresher. Hachiro knew Chizuru when they were children. He saw her supernatural healing abilities, told her to hide it, decided to train because of his desire protect her and eventually became one of the shogun’s direct retainers. The Shinsengumi’s time in Kyoto came to a horrific end with the Battle of Toba-Fushimi, where the Bakufu beat the Shogunate. Near the end of Hakuoki: Kyoto Winds, a battle with the Shinsengumi’s former Captain Kanryusai Takeda ended up costing Hachiro his left arm. Hachiro ended up drinking the Water of Life Chizuru had, becoming a Fury and having his damaged and disfigured arm replaced with one of Yase Village’s demon arms after coming to Princess Sen’s village. This presents an interesting situation. We already know that Hakuoki’s Furies live on borrowed time. They take the Water of Life and gain a chance to survive deadly injuries, but end up knowing they will eventually die from a painful death, be overtaken by bloodlust and perhaps lose control of themselves. But in Hachiro’s case, the situation is far worse. This demonic arm gives him a new kind of power, but also alters his sense of self. Within the first 20 minutes of Hakuoki: Edo Blossoms, Chizuru and Hachiro find themselves in Dr. Yukimura’s house. Hachiro loses himself, pressing Chizuru against a wall with the foreign left hand. He is shocked and afraid when he sees what he has done. We are continually presented with characters fighting for control in Hakuoki, due to them becoming Furies. They have this bloodlust bearing down on them, possibly driving them to do things they would never normally consider. With Hachiro, it is so much worse because of the demon arm being fused to his body. He is not only under the influence of his condition, but also this foreign entity. It is a far more drastic situation for him. It also means he is in a different situation than the other Furies. When Princess Sen provides Hachiro this opportunity, it is with the condition that he can no longer be part of history. He needs to step away from the limelight and story. Even though he is a warrior and lives for that pride and honor, getting an arm that would give him more power than a standard Fury requires him to step back. Instead, it is a means of protection, something to have prepared for when Kanryusai eventually comes back. Unfortunately, Hachiro’s ending can feel like a bit of a cop out. His route presents us with a person who is dealing with far more than the other Furies. The demonic arm seems as though it can make him act on impulse, even when bloodlust is not a factor. But if you have made all the right choices and kept his corruption down, then in the final face-off against Kanryusai, he triumphs. However, Chizuru was being held by Kanryusai as a shield when Hachiro attacked, taking damage in the process. The game then resumes with Iba’s body apparently accepted the demon’s arm, turning it into a human one, Iba well and the two ready to live a peaceful life. 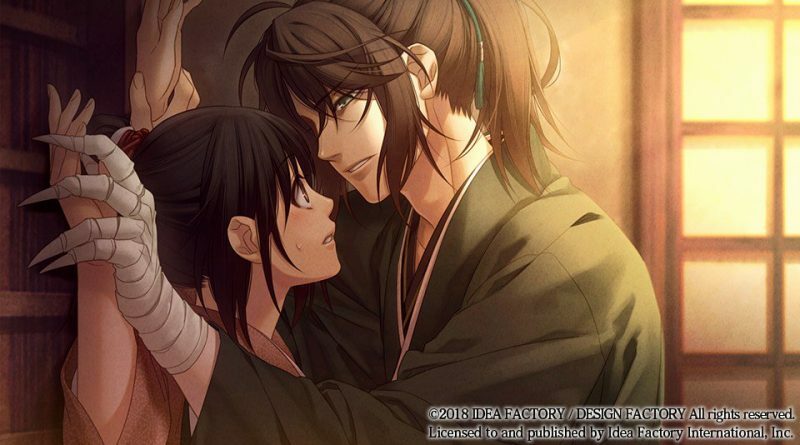 Hakuoki has attempted to show how dramatic a change becoming a Fury can be for characters. We see our allies when bloodlust takes hold. We watch our enemies as they give in to the madness. With Hachiro Iba’s route in Hakuoki: Edo Blossoms, we gain an even greater appreciation of how dramatic a change this can be. It gives us a better idea of what playing with this kind of power can do to a person. The impact the Water of Life and demon arms have on Hachiro and Kanryusai is even greater than becoming a Fury alone. While some of the impact is lessened in the best ending, it still does an admirable job of providing an alternate look at the life of a Fury.